We can meet where and when you need us. We work the same crazy hours you do! Our mission is to be the customer's first choice for quality insurance and financial services products. We will achieve this goal by building a reputation for listening to customers and providing products based on their needs. We will be knowledgeable, respected, and involved members of the community that serve our State Farm customers to assist with important decisions. Kathy Hewitt, a Shelby County native with 33 years of experience. Shelby Fiandt is a Hancock County native & works with our current customers. Lauren Rader is a Marion County resident and works specifically with our new State Farm customers. 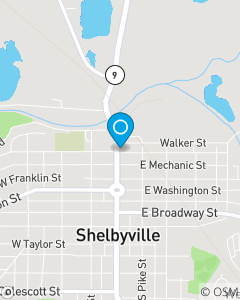 I live in Indianapolis, and have worked in Shelbyville for over 8 years. I really love to help individuals care for their families.